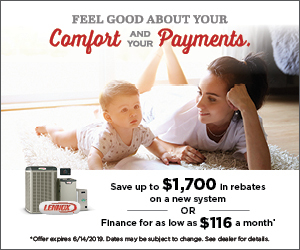 As a homeowner here in Orlando, you probably contend with stale air and odors when you’re running the HVAC and your home is closed up tight. If you’re looking for a way to give your home a pleasant scent without using chemical-filled air freshener sprays or burning candles, using essential oils in your air filter is the answer. Lavender and tea tree can disinfect and kill dust mites. Eucalyptus, cypress, and rosemary prevent bacterial growth. Lemon, cinnamon, and thyme control the spread of viruses. Sage and sandalwood are effective against mold growth. Oregano, bergamot, and clove have antibiotic properties. Take a fresh air filter that’s the right size and MERV rating to match your HVAC system. If you’re not sure which filter to use, check your equipment manual, or ask for advice from your HVAC pro. Select one essential oil to use, or create your own combination for a unique scent with additional beneficial properties. With an eyedropper, put 15 to 20 drops of oil evenly over the filter surface, then install it in your HVAC unit. With the scented filter in place, a soothing fragrance will be sent out with your conditioned air each time the blower cycles on. The scent will diminish in about 30 days, which is also the ideal time to check your air filter. You can add more oil if the filter is still clean, or scent a new filter if the old one needs replacement. 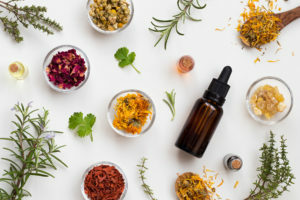 To learn more about using essential oils and other effective ways to improve your indoor air quality, contact us at Rinaldi’s Energy Solutions.